You can't imagine how excited, grateful and honoured I am to be featured in America's #1 plant-based magazine, Thrive! 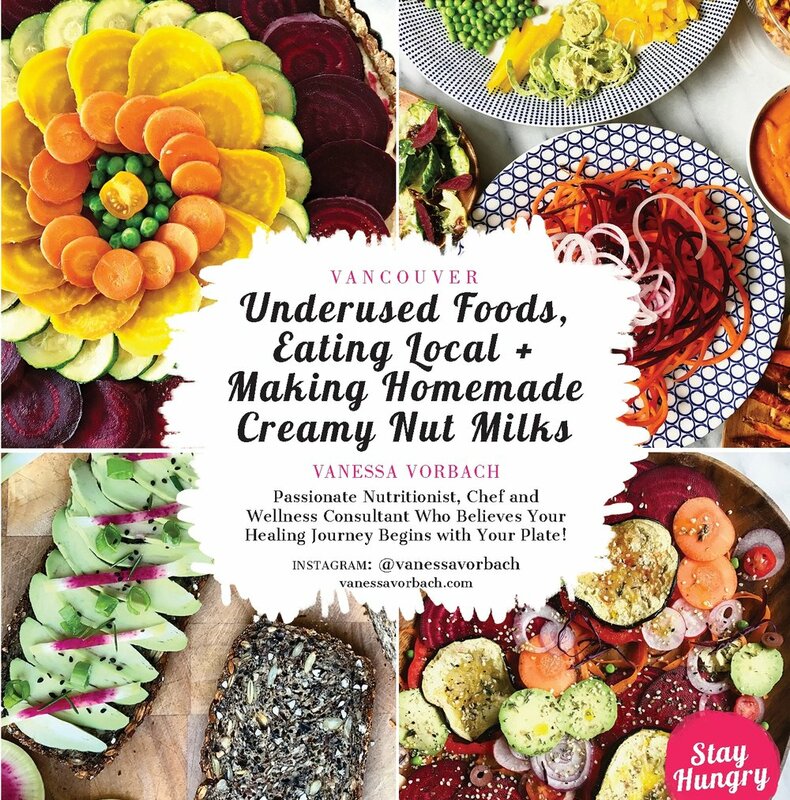 I could pretend that this feature is just another day at Vanessa Vorbach's Holistic Nutrition headquarters (aka my kitchen LOL), but it is a huge deal for me as a nutritionist, but most importantly as a vegan. When I started my plant-based journey over 8 years ago, nobody really knew what veganism was (I wasn't living in California, ok?!) and it was quite challenging feeding myself outside of my kitchen. Looking back now, I have to admit that I kind of miss being the underdog and not having to share my food with anybody. Joking aside, it is thanks to many inspiring vegan heroes such as Dr. T. Colin Campbell, Brendan Brazier , Maranda Pleasant and many celebrities that veganism has become mainstream and is no longer a trend but a movement, which is definitely here to stay. By the way, you will enjoy this stunning magazine, even if you are not a vegan but simply enjoy DELICIOUS, SATISFYING food. Click here to see where you can pick up your issue. By the way, this interview is best enjoyed while eating my featured Spring Cauliflower Tabbouleh. THRIVE: Your favorite recommended tips in the kitchen? My favorite tip is to try to always cook with love, care, attention and deep appreciation. Have you ever cooked when you felt stressed, frustrated or were under pressure and couldn’t understand why it tasted “off” or not as delicious as last Sunday when you cooked the same meal while being completely relaxed and happy? That’s why your grandmother’s food is so special – because you can taste her love. So next time you cook for a dinner party and feel stressed out, take a moment, pour yourself a glass of wine, turn on the music and think about the great time you are going to have enjoying this meal with your loved ones. THRIVE: Any food secret you swear by? After cooking vegan for over 8 years, I can finally say that I’m beginning to master the preparation of vegetables. It’s about not being afraid of experimenting with different textures, flavors and cooking methods and treating the vegetables as the star of the dish. At the beginning of my vegan cooking journey, my meals were good but they were lacking that certain wow factor. Once I started combining different cooking methods in one meal, I was able to really elevate my dishes. Let’s take a simple mixed salad as an example. By adding roasted root vegetables, toasted pumpkin seeds, fermented cabbage, pickled beets, smoky tempeh croutons and blending fresh peach with your regular Dijon Mustard dressing, you have a wow salad, which is a symphony of boasting flavors and different textures. THRIVE: What is something new that you recommend us trying in the kitchen, that many of us might not try? If you haven’t tried making your own nut milk, then you are definitely missing out on one of the most delicious, comforting, satisfying experience! Besides being so much creamier and tastier than the commercial version you get at the supermarket, nut and seed milks are incredibly rich in protein, healthy fats, antioxidants and minerals … making these goodies true superfoods in a glass … or a pitcher in my case! Gone are the days of a plain almond or soymilk with artificial vanilla or chocolate flavouring. Think rose infused hempseed-brazil nut milk, chai spiced pumpkin seed milk with vanilla-chaga cream syrup or black sesame-sea salt date milk. As you can see, there are no limits to reach nut milk heaven. THRIVE: What ingredients do you think are underused at home when we cook? Due to clever marketing strategies and the media, we tend to make a lot of hype around pricey, unpronounceable exotic superfoods from the other side of the world while the good old broccoli, carrot and flax seeds are considered uncool and being ignored by us in the supermarkets. Even though these foods have been known to be nutrition powerhouses and were a part in our ancestor’s diets since hundreds of years! Additionally, you can get them for a fraction of the price, they are mostly locally produced, which means we have access to them when they are in season and therefore the most nutritious. 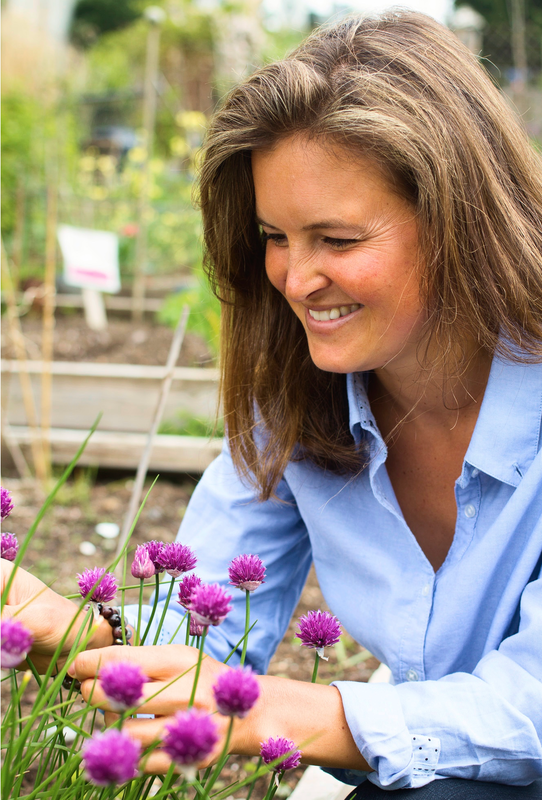 THRIVE: Your last food discovery? Ingredients or tips. What I love about eating seasonally, is that I feel like rediscovering a vegetable or fruit with every change of season and I end up learning how to cook and enjoy it in a completely different way. THRIVE: What is a (life) truth that you know for sure. I made myself a promise that I would always stay hungry. Hungry for passion, hungry for inspiration, hungry for helping others through my work. Never stop striving towards personal growth. Keep looking and don’t settle. As with all matters of your heart, you will know when you arrived. THRIVE: Any health ritual you have? Running in the nature. It provides my brain with fresh oxygen, my body with positive energy, it clears my thoughts and makes my skin glow. But most of all I find that after any exercise, food tastes so much better!